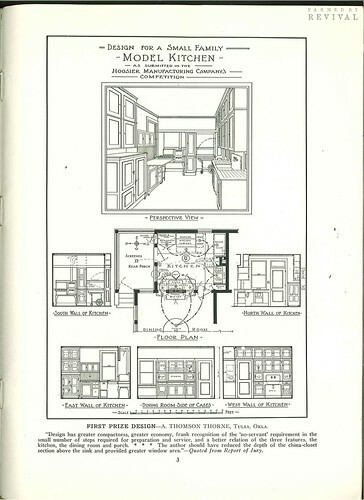 Hoosier had a competition for the best kitchen design from 343 architects and designers in the early 1900’s. 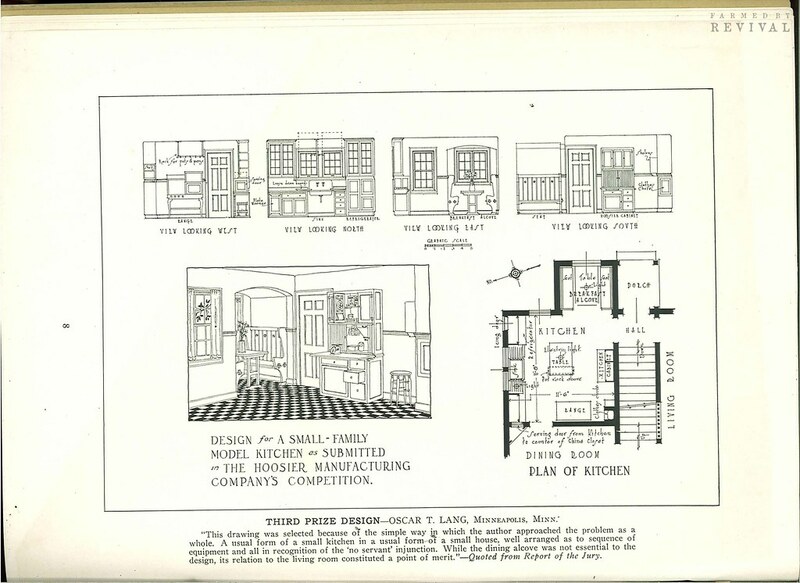 They put 50 of the plans in The Kitchen Design Book. Here are the first three, including the winner A. Thomson Thorne. When you spend all day on the computer where do you end up? With me it’s Flickr. I could wander all day and always find what I’m looking for. 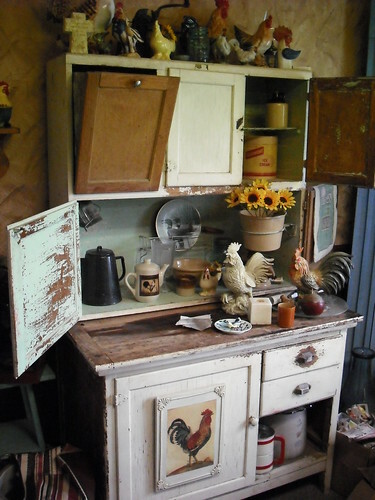 This week it was Hoosier or Hoosier style cabinets – the Flickr photostreams have never let me down and there’s a Hoosier Cabinet group. Who knew? From fiberartsfinatic – What great hardware! From lalapapawawa on flickr this piece is at The Marietta Museum of History in Marietta Georgia. 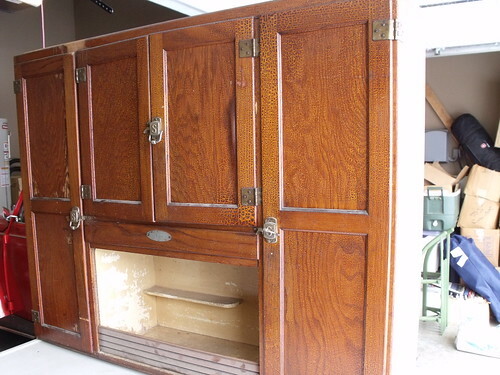 By 1916 other manufacturers started making their own versions of Hoosier style cupboards. 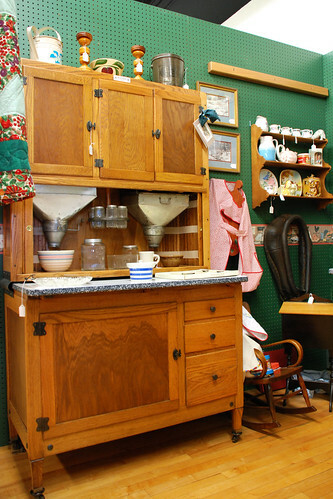 McDougall, Sellers, Napanee, Sears, Roebuck & Co. are just a few. 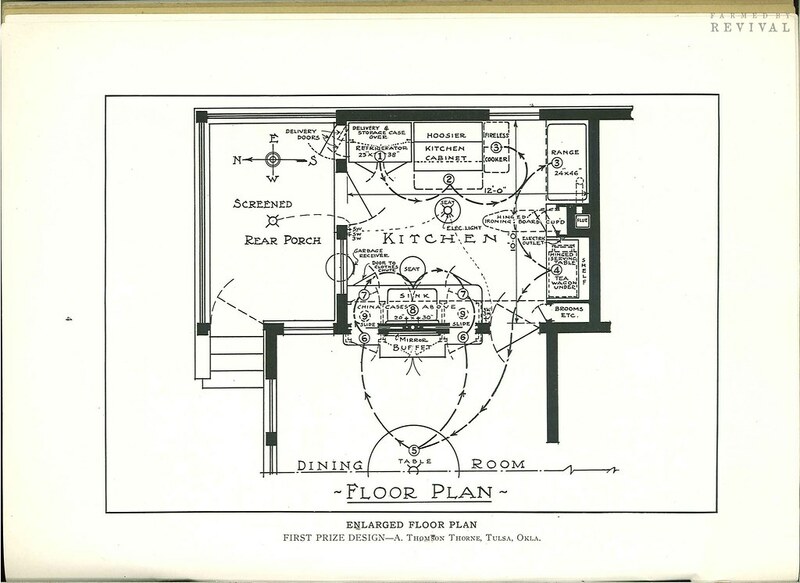 Kitchen design started changing. Paint and tile started to be used for easy cleaning. 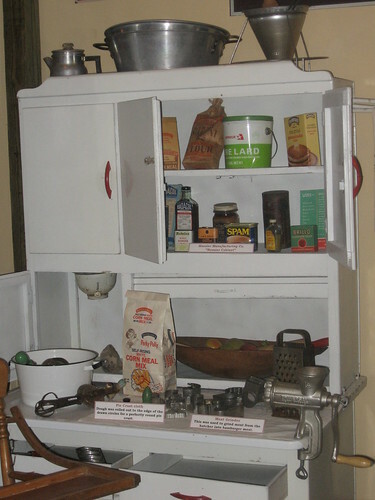 The Hoosier Cabinet worktops (originally wood) became aluminum and “porceliron” (porcelain-enameled steel), then exclusively porceliron. 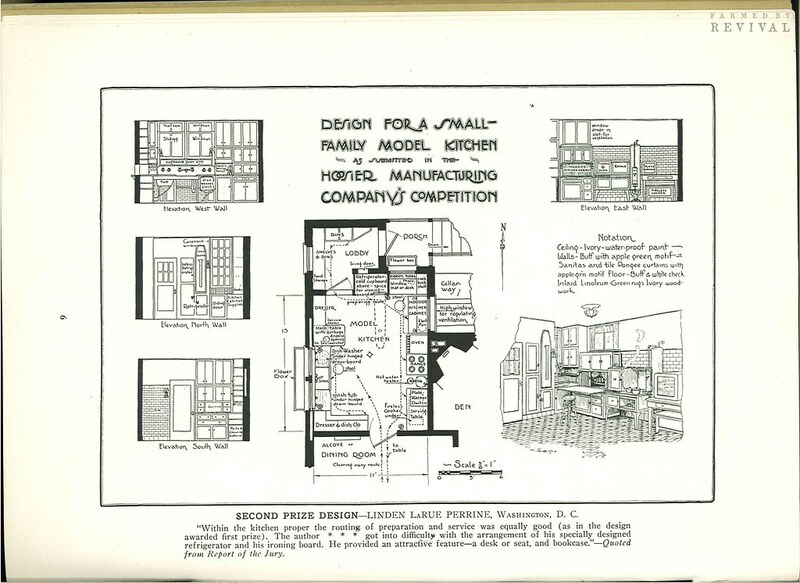 Hoosier had sold over a million cabinets by the 1920’s. They expanded with tables, chairs, sideboards and a clever stool that, when flipped over, became a stepladder. 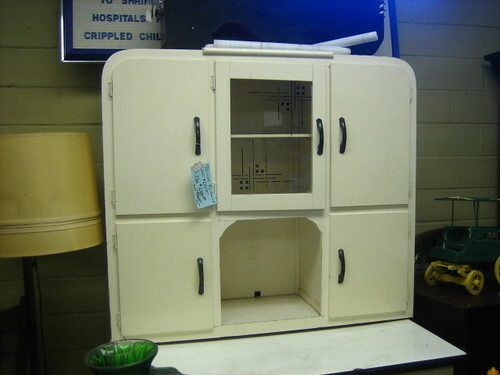 For a dollar down and a dollar a week you could have a Hoosier Cabinet in your kitchen. If there wasn’t a dealer near you, they’d deliver. 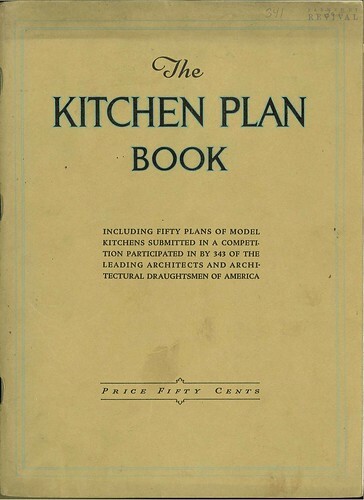 They had a Hoosier Cabinet Club you could join, a kitchen plan book (free with purchase), a Hoosier Council of Kitchen Scientists. These people were advertising masters.